Help parents and kids get out on the courts and playing tennis quickly! 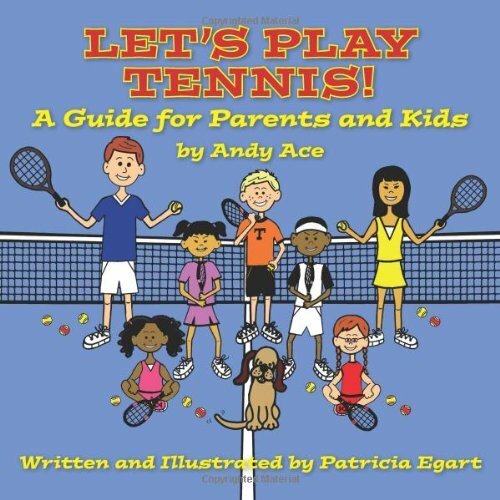 Andy Ace takes parents and kids on a fun-filled journey from the sporting goods department to the courts to learn the strokes and some tips for practicing. The journey ends with the story of an exciting match with Danny Deuce! Full-color illustrations are included with easy to follow descriptions to help players of all ages get out on the courts and playing tennis quickly. He has included his favorite games and drills which parents and kids can do together. You will learn about tennis etiquette and sportsmanship. You also will learn about match play as you follow me through an exciting match with Danny Deuce.